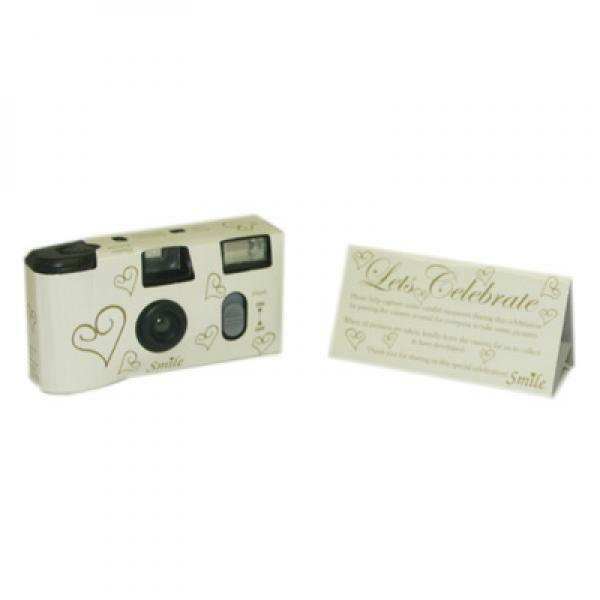 Ivory Heart camera comes with genuine Fuji film. Each comes with a matching table card with instructions on how to use. SPECIFICATIONS – FILM FUJI, SPEED 400ISO, EXPOSURES 27, FLASH BUILT IN WITH ON/OFF SWITCH, BATTERY CAMERA DESIGN. 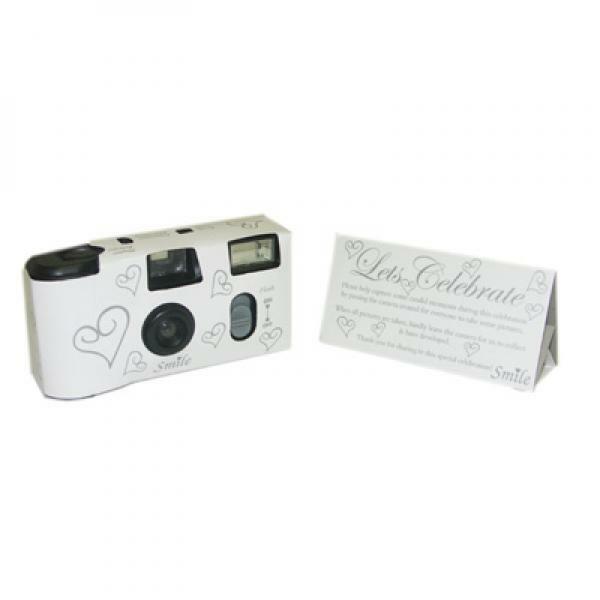 Silver Heart camera – Genuine Fuji film, each comes with matching table card explaining how to use. SPECIFICATIONS – FILM – FUJI, SPEED 400 ISO, EXPOSURES 27, FLASH BUILT IN WITH ON/OFF SWITCH, BATTERY CAMERA DESIGN.